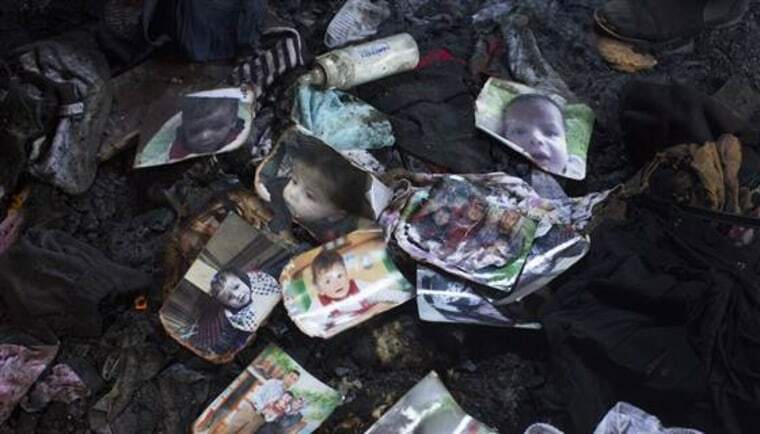 Israeli police arrested a Jewish groom and three others over a video in which wedding guests were seen celebrating an arson attack that killed a Palestinian toddler. Police spokeswoman Luba Samri said the newly-wed and three guests were arrested Tuesday on suspicion of incitement and unlawful weapon possession. The video, aired last week by local media, showed a rowdy crowd of skullcap-wearing youths brandishing rifles and dancing to music with lyrics calling for revenge. Some appear to be stabbing photos of Ali Dawabsheh, who died when suspected Jewish extremists firebombed his family home in the West Bank in July. The groom told Israel’s Channel 10 that he did not see his guests defiling photographs of Dawabsheh.